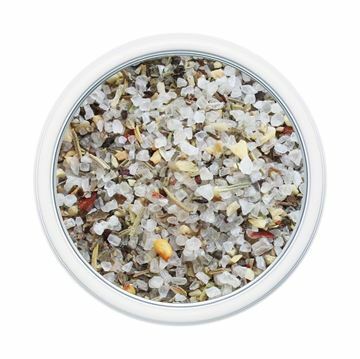 High quality sea salts and peppercorns for everyday use! Perfect for your mill. Pure premium grade peppercorns ground to ensure freshness. Coarse black peppercorns are ground into medium pieces. The slightly larger fixed grind seems to have a stronger flavor. Premium grade black peppercorns are fine ground for easy, everyday use. Ideal for a pepper shaker. Also great for pinching into cooking, as well as homemade rubs. 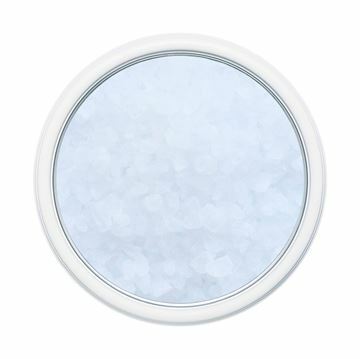 Harvested in California, this sea salt is extra coarse. 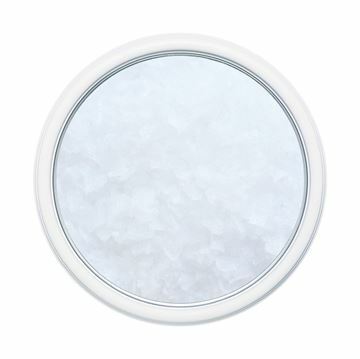 Most recipes call for finely ground salt, however, this sea salt is preferred by professional chefs because they can easily measure it with their fingers. Its low moisture content allows it to flow through a salt mill with ease, and also prevents caking when it is stored. This hand raked and harvested salt has a long and rich history in French cooking. Fleur de Sel, which means “flower of the salt”, is a rare commodity that is only available for about six weeks every year during midsummer. It needs to be added at the end of cooking to preserve its sweet delicate flavor. If you want the very best, this is the salt for you. Green pepper is harvested unripe and then quick-dried. This produces a less pungent, more herbal flavor. 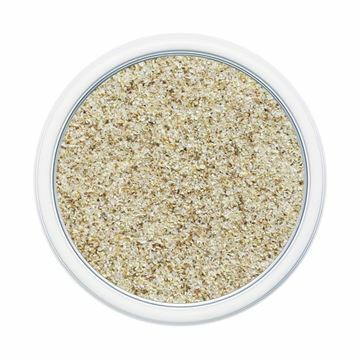 This salt has great versatility and can be used in almost any culinary application, including artisan bread making. 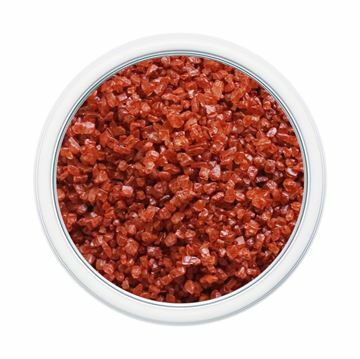 Use a peppermill or spice grinder (with a ceramic blade or one that can’t rust) to grind these coarse, gray, moist salt crystals to season anything. Also excellent for curing salmon and making gravlax or cold smoked salmon. 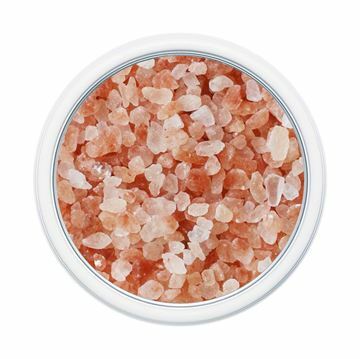 Our coarse pink sea salt is hand collected on a remote Hawaiian Island. It’s often said to be the most prized salt on the earth. Its beautiful color looks spectacular in a glass mill. When it comes to purity and mineral content, no other salt compares. Crystallized more than 200 million years ago, ancient sea beds were covered by volcanic lava, protecting the salt from modern-day pollution. 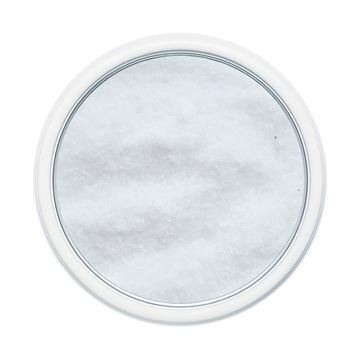 Today, this salt is hand-mined at the foot of the Himalayas and desired around the world. Its many hues of red, pink and white indicate the rich and varying mineral and iron content, making it both a healthy and truly beautiful culinary experience. 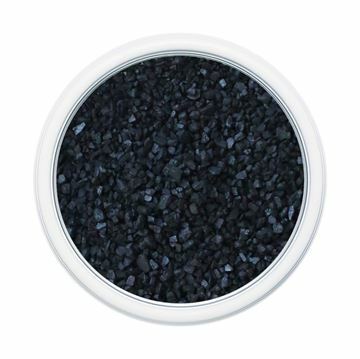 The unique color of the Hiwa Kai Salt is a result of the solar evaporated Pacific sea salt being combined with activated charcoal, which not only compliments the natural salt flavor, but also adds detoxifying properties. 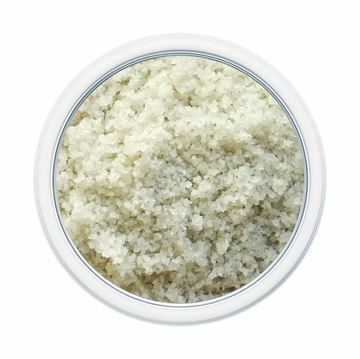 Italian sea salt is produced from the low waters of the Mediterranean Sea along the coast of Sicily. It is a natural salt rich in minerals with a much lower percentage of sodium chloride than regular table salt. These salts have a delicate taste and plenty of flavor without being too strong. 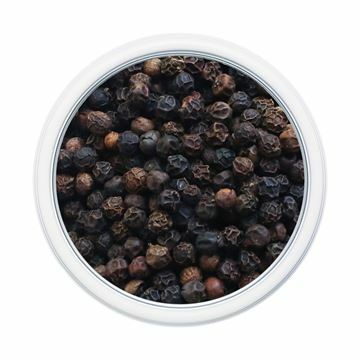 Black peppercorns are one of the worlds most popular spices, it’s a staple in nearly every household and restaurant. Malabar and Tellicherry Peppercorns come from the same plant and can be distinguished by the size of the peppercorn itself. The largest peppercorns are considered Tellicherry, where the Malabar are slightly smaller in size. 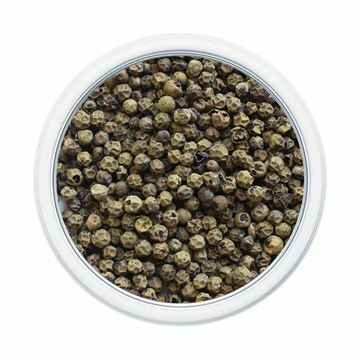 These peppercorns are great for everyday use in your mill! It’s also wonderful on steaks. The Maldon Salt Company is one of the few remaining salt makers in England. For over 130 years, they have hand-harvested their salt in the traditional manner, extracting this precious mineral from the rich Essex estuaries using long-handled rakes and no artificial additives. 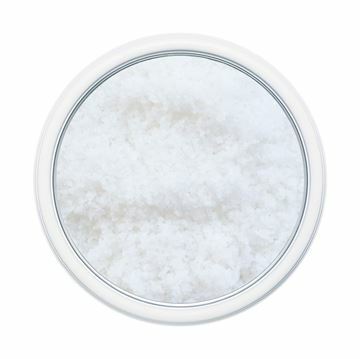 This versatile sea salt is harvested from the clear waters of the great southern ocean, between New Zealand’s North and South Islands. The waters are evaporated using the natural process of sun and wind which allows it to maintain its balance of minerals when harvested. 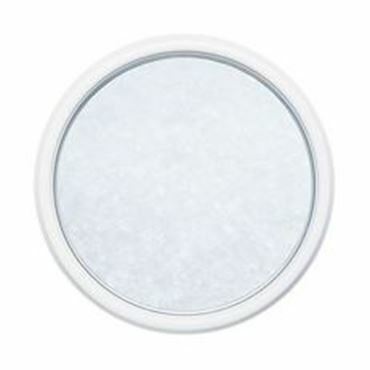 The levels of calcium, magnesium and other minerals are higher than other sea salts and ordinary table salt. It’s natural minerals add a pure, clean, healthy flavor to your food. 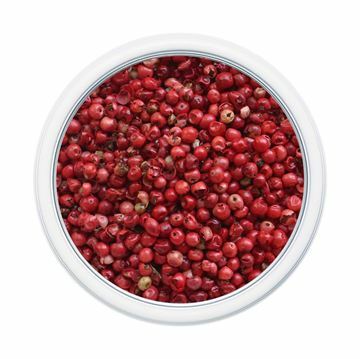 Pink peppercorns have a sweet and mild taste. They are also very aromatic, not pungent like the regular ripe pepper fruits. The flavor is totally exotic and different from regular peppercorns. Excellent choice for your pepper mill. 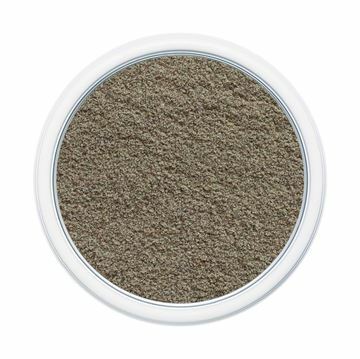 It's beautiful color makes it a great choice for the holidays. Native to India, white peppercorns are regarded by many parts of the world as the finest flavored peppercorn. 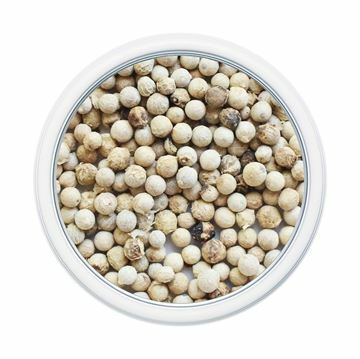 White peppercorns stay on the vine much longer than black ones, which allows them to ripen more fully, producing a rich and slightly hot flavor. The outer shells of the peppercorns are removed by soaking them in water. Same great flavor as whole peppercorns with a traditional fine ground texture. 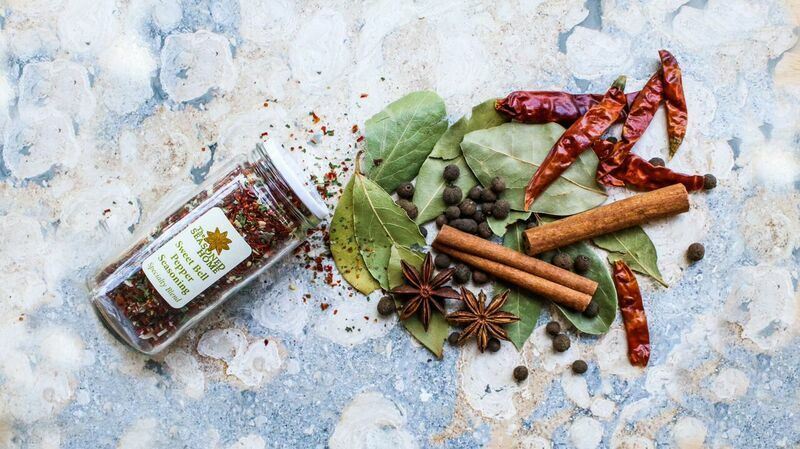 Considered the finest pepper in the world, these extra large berries come from the coast of India. They're picked from the vine before ripening and as they dry they turn black. The outer shell is then removed leaving a robust flavored peppercorn described as having some fruity notes. 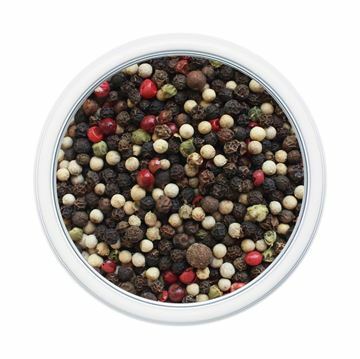 A very festive and colorful peppercorn variety blend of black, white, green and pink peppercorns along with our own special touch of whole allspice. 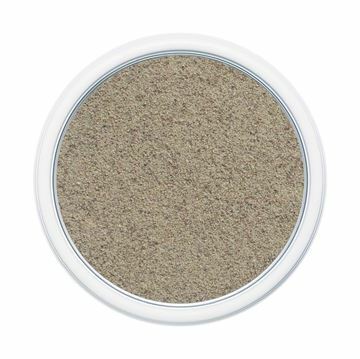 Adds great color and flavor to any dish whether used whole or ground. Excellent choice for your peppermill!